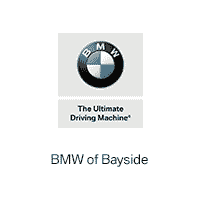 BMW of Bayside offers an extensive inventory of BMW car parts in the Queens, NY area. Our experienced staff can help you locate hard to find BMW car parts and accessories. Visit our parts department, located at 266 East Shore Road, Great Neck, NY 11023, or fill out our convenient online parts order form. Check our site often for current specials on auto parts and accessories! Want to personalize your vehicle? Increase it’s performance? Improve fuel-economy? Our parts department is the place to go! Our professionals have on hand, or will work to find, your needed BMW part. While you are here, please take a look around the rest of our greater New York BMW virtual dealership. Be sure to browse our online inventory of new and used BMW cars and keep abreast of the latest models and improvements.